Early Nikon M Rangefinder Camera and Lenses, no. M609787, with Tokyo Nikkor-H 5cm f/2 collapsible lens and cap, no. 811448; a Tokyo Nikkor-W 3.5cm f/3.5 lens and rear cap, no. 61222; a Tokyo Nikkor-P 8.5cm f/2 lens, with front and rear caps, hood, and case, no. 801131; and a Tokyo Nikkor-Q 13.5cm f/4 lens with front and rear caps, hood, and case. 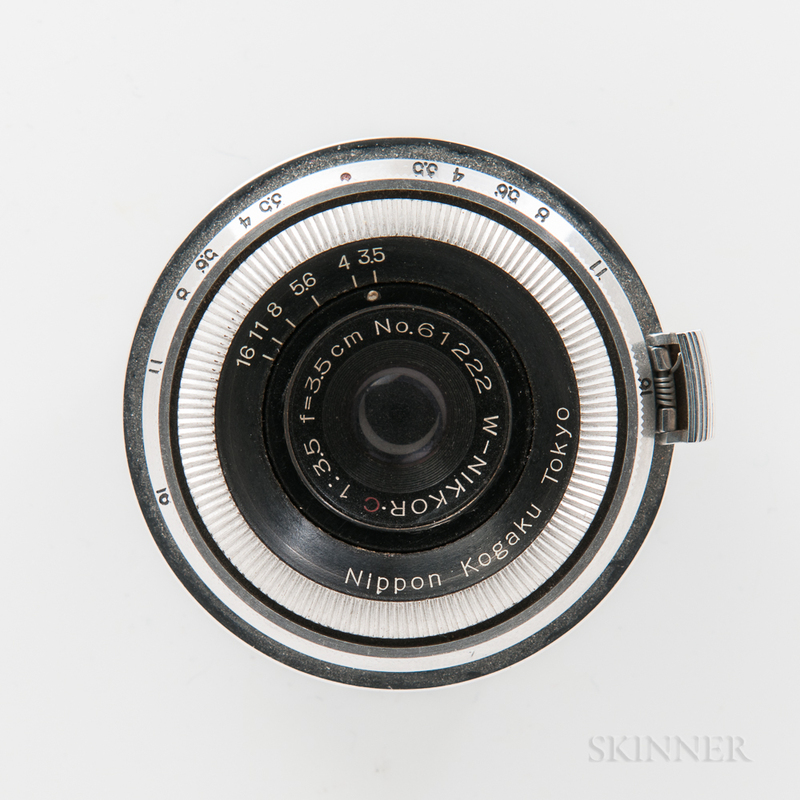 Note: This is the earliest known model M camera with Nikkor-W 3.5cm lens. The lenses are from the first batch designated for the Nikon I camera, c. 1948/49.